This is the summary of consumer reviews for Bose SoundLink Bluetooth mobile speaker II. The BoolPool rating for this product is Excellent, with 4.50 stars, and the price range is $269.00-$269.99. The Bose Soundlink Bluetooth Mobile Speaker II is very compact and offers surprisingly clear and powerful sound. It can easily be connected wirelessly with Apple, Android, Blackberry device or even tablets and/or laptops for continuous on the go music enjoyment. The Bluetooth needs to be connected only once to any smart phone or laptop with any physical docks or wires. The speaker can keep up to six Bluetooth sources in memory. This lightweight speaker is easy to carry and offers 30-feet wireless range. These speakers also come with an integrated bi-fold cover protects the speaker during travel and unfolds into a stand for instant playing anywhere. This Bluetooth device controls everything like playlists, streaming music station without any remote control. 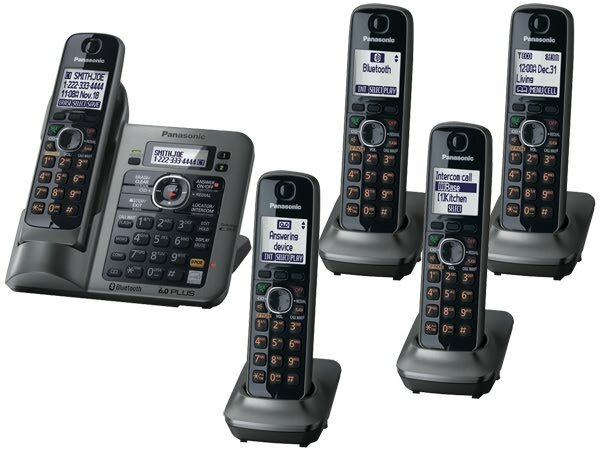 It features very easy controls with its own power and volume buttons on top of the unit. The speakers come with rechargeable lithium-ion battery that stays strong for up to eight hours, while continuing with other activities. The battery charge is indicated through color changing from green to yellow to red, and is fully charged within 2-3 hours. An optional car charger is also available for charging while travelling. 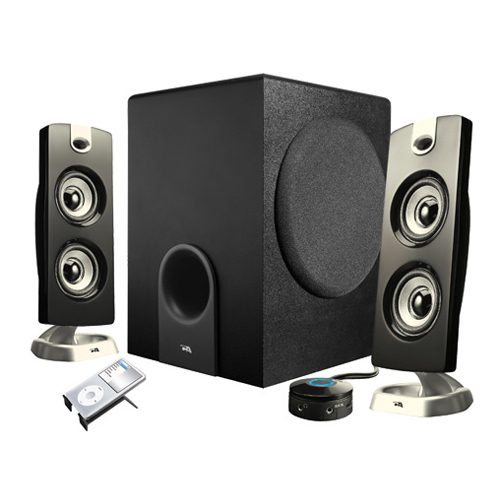 These speakers come with Auxiliary input that allows playing other audio sources like MP3's and/or DVD/CDs, and the USB port ensure ongoing Bluetooth device compatibility. Additional covers are also available separately in leather or nylon materials to match an individual style and interest. However, many users feel the speakers are expensive and sometimes the sound is muffled when played on high volume/frequencies. 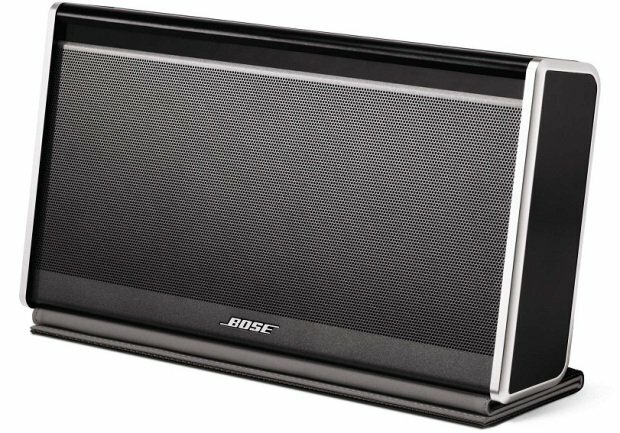 Overall, the Bose Soundlink Bluetooth Mobile Speaker II is awesome wireless speaker for its sound quality, ease of use and performance features. Its quite portable with a great sound although it's a little pricey. 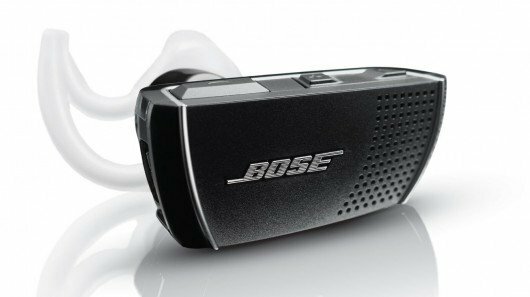 Summary Really love the sound of this portable device; Bose hit another one out of the park!. Pros Small form factor and clear, rich, full sound. However, when switching genres, playing songs like Andrea Bocelli's Time to Say Goodbye (where bass wasn't a req), the vocals really came out great with little distortion. 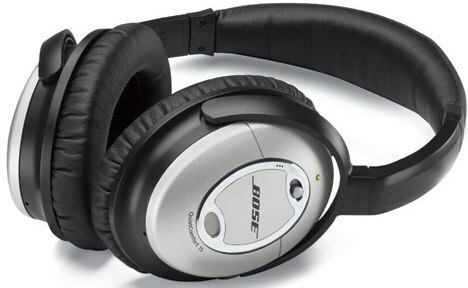 However, the excellent sound quality, portability and design of the Bose won the day. It somehow sounds like it "ought to sound" based on its appearance: Not too little, not to much; just right. The Sound quality of the Soundlink II is pretty amazing, the rechargeable battery hasn't run out on me yet while playing it for hours on the patio, and the Bluetooth allows me to put the unit whereever it sounds best. I paid little attention to cost and a great deal of attention to sound quality. If you hold down the Power button, the battery icon changes color to provide battery status: green 70-100%, amber 20-70%, and red, less than 20%. In both instances battery life seemed to be many hours at moderate volume. Sound quality is very good (at low volumes*). Volume can be controlled by the Soundlink Volume buttons or through your paired device's volume controls. The volume that's put out by this speaker really did surprise me. For a battery powered device, I was expecting something much more lackluster than the strong bass and excellent volume that was produced. You can also check the remaining battery life by holding the power button, which will illuminate the battery indicator light on the front status panel. Long battery life and the wireless make this a great speaker. The battery life is great, and the sound is stellar. One "oddity" that I've noticed is that even with the battery fully charged and the AC adapter connected, the battery light will turn from green to yellow after an hour or two of operation leading me to believe the unit is draining the battery even while on AC power. Pros Compact, Great sound, easy of use. 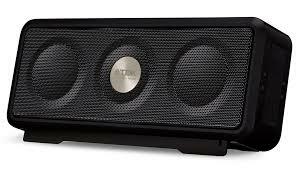 The speaker is even better sounding inside a room, but it definitely works well outside for our purposes. Easy to carry from room to room as I work. When connected to my iPod I can work out to the awesome sounds of e 70's. The sound quality is nice and loud. Set up was easy on my . macbook pro however within an hour there was connectivity issues. Things with lots of bass sound a little off. We farm for a living so we're outside working on equipment and this works great. The sound quality is decent, but it does sound a little muffled. Pros Rich distortion free sound even at high volumes. Big, well balanced sound in small form factor. You'll probably hear the difference in sound quality between Soundlink I and II if you play a wide variety different musical genres. While I still love the sound of last year's Soundlink, this new version has more definiton and sounds even better. The new version seems to sound a bit more muffeld in the uppest frequencies, while it sounds definitely better in the low and mids-department. 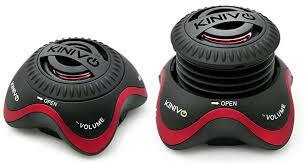 Considering the small size of this unit, it gives you an awesome sound at any volume. Distortion at higher volume levels. Well defined bass, mids, highs. Yes, the sound is quite a bit fuller, yet better balanced with improvement on the mids and highs -- w/ crisper sound on the top end without beginning tinny, hissy or overly blaring. It'll easily fill a large room with rich sounding music. This little unit can fill a large room with sound. its sound is pretty nice. Enter the Sound Link II. Amazing sound output for the size! 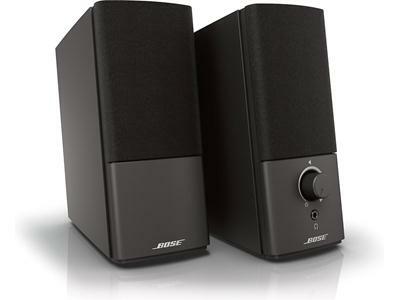 All you expect form Bose.....small footprint and room/house filling sound. So let's talk about its sound quality. 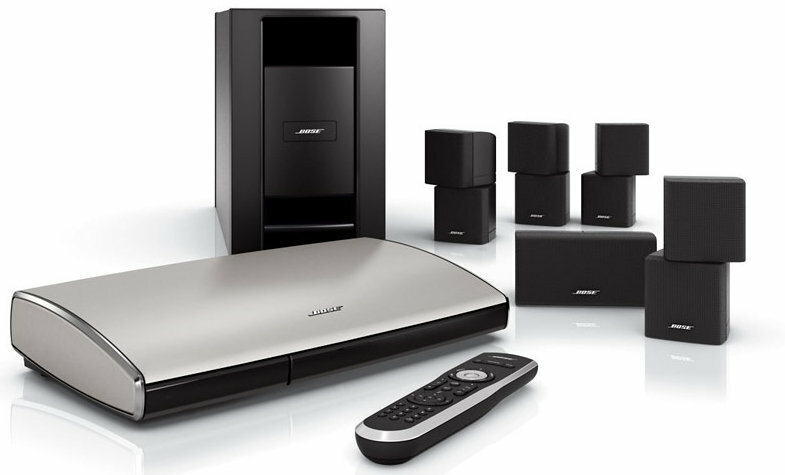 Awesome Bose Sound and great interface with mobile bluetooth devices.